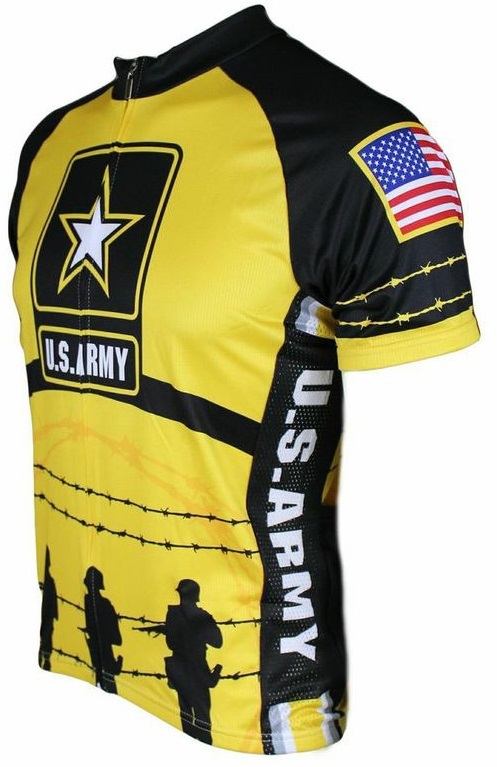 US Army Soldiers Cycling Jersey. 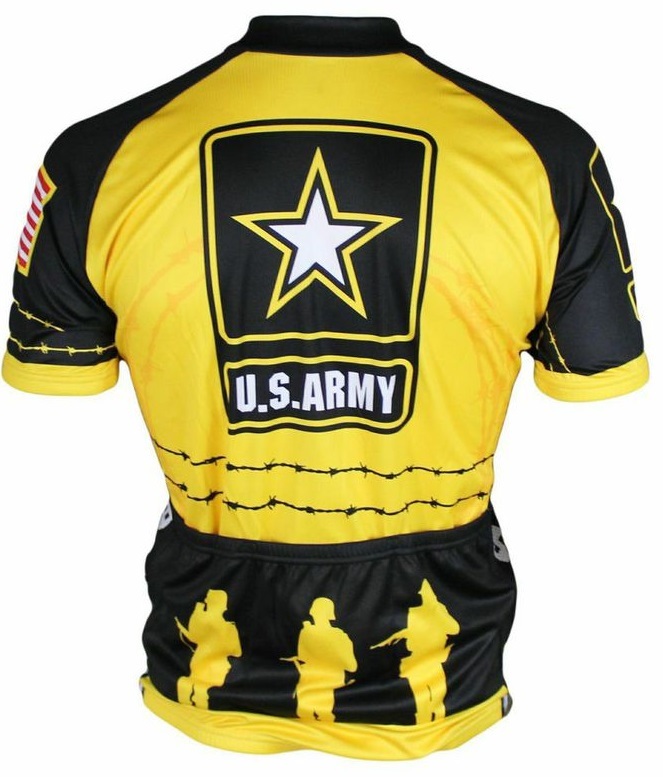 This Officially Licensed US Army Soldiers Cycling Jersey is made of Polyester Euro-Mesh Microfiber with Airdry Technology, provides excellent moisture wicking in a light weight material with an antimicrobial finish that resists odors and reduces germs. This "club cut" jersey has a 19-inch, 3/4 hidden zipper, Three rear pockets, elastic waist band and beautiful, long lasting colors. 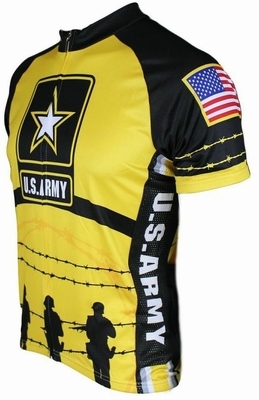 It is made by 83 Sportswear, Inc/Military Productions, Inc. 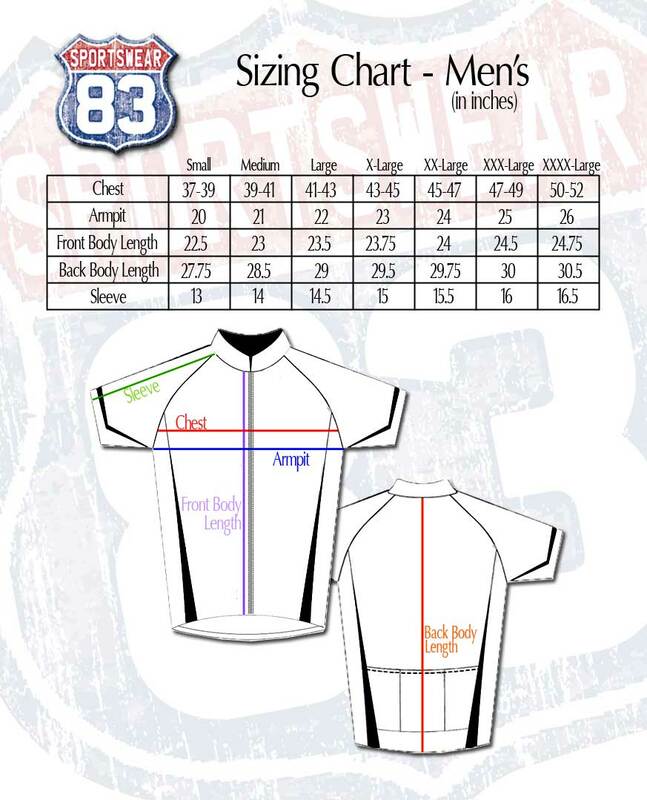 NOTE: This jersey runs approximately one size smaller than your standard jersey size!